Ronald C Anderson left this world in the early morning of April 6, 2019 after a brave battle with cancer. He is survived by his loving wife, Crystal (Nash); children, Jennifer, Travis (Elizabeth), Nate (Paige), Curtis (Trevor), Steffanie (Zachary), Zachary (Shyloe), Josh, and Samantha; Mother and Father-in-law, Curt and Shawnee Nash; siblings, Marge (Dave), Valene (Dave), Larry (Suzie), Bruce (Julie), brother-in-law Kelly Nash, and many, many beloved nieces and nephews. Ron was the proud grandfather of Brayden, Emmaline, Lexi, Trey, Skylie, Kyrian, Kale, Titan, Temperance, Jade, and Sapphire. He was preceded in death by his parents, Clarence (Andy) and Cleora Anderson, and sister Marilyn. Ron was Proud to be a Veteran, serving his country as a member of the US Army. He also served a tour as a civil servant in Iraq and Kuwait. Ron’s greatest love was to spend time outdoors landscaping his yard, camping, fishing, and hunting. One of his most favorite things to do was to take his Grandchildren camping in the summer and swimming all year round. He was always involved in sporting events, coaching his sons Nate and Zach’s basketball and baseball teams, and after his own kids were grown, was excited to enter the sports arena again, participating with his granddaughter Lexi, perfecting her softball abilities and attending every practice and game. He became the lead adventurer as he, his sons, nephews, and Father-In-Law braved the elements as they went deer hunting each year, seeing who could bring home the biggest buck. This year he laughed and said his role in the deer hunt this year was to man the camp site, cook the meals, and mind the fire while the younger crew went out to climb the mountains, endure the cold, and find the deer. Ron will most often be remembered for his acts of kindness and the charity that he showed in his everyday life, helping anyone who needed assistance, and serving in many positions for the Church of Jesus Christ of Latter- day Saints. His acts of kindness will live on with those he has served. He was quite the character and a big tease, and ready to put a smile on the face of anyone needing cheering up. Even during his last days, he stilled maintained that sense of humor, making visitors and family members giggle with his dry wit. 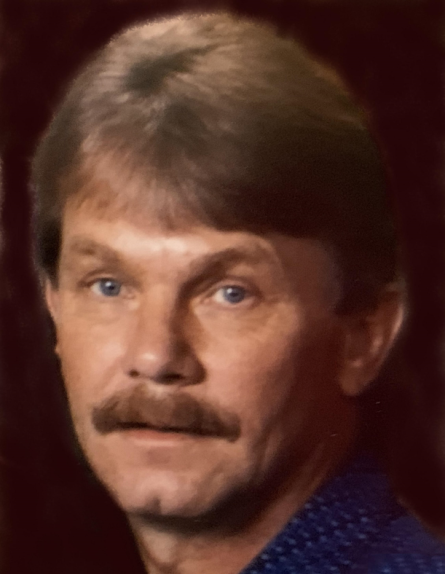 Being retired, he and Crystal were blessed to spend countless hours together, planning and taking camping trips, helping and playing with the grandchildren, and, participating in Ron’s most favorite event, having monthly family nights with their large family. Ron was blessed on this earth with a large and extended family who will remember him always and miss him so much. We love you – our wonderful husband, son, father, grandfather, brother, uncle, and friend! Funeral services will be held on April 12, 2019 at the Tooele East Stake Center, 752 North 520 East, Tooele, Utah, at 1:00 pm. A viewing to be held one hour prior to the funeral services at the same location. Interment will directly follow the funeral at the Tooele City Cemetery.